Wedding Diet Site | Nutrition & Exercise Tips For Brides: Wedding Weight Loss | Are All Fats Bad For You? The general myth is that fats are not good for you, however some beneficial fats are essential in our diet. Beneficial fats include monosaturated and polysaturated fats, found in nuts and seeds, olives and olive oil, avocados, canola and canola oils. They also include omega-3 fatty acids found in linseeds, soybeans, dark green vegetables and oily fish. Monosaturated fats are good fats that help to lower LDL (bad) cholestrol and boost HDL (good) cholesterol. Polyunsaturated fats help reduce the cholesterol levels in your blood and lower your risk of heart disease. The two types of fats that you should avoid are saturated fats and trans fats. Saturated fats tend to raise blood cholesterol levels that may cause heart disease. Saturated fat is found mainly in animal products and high fat dairy products such as butter. Coconut milk and cream are also high in saturated fat. Another type of fat to steer clear of is trans fat which is produced when vegetable oils are hydrogenated or hardened for use in commercial deep-frying and in processed products (e.g. factory-made cakes, pastries and potato chips). Trans fat, like saturated fat, tends to raise blood cholesterol levels. If your diet is high in saturated and trans fat, and low in unsaturated fat, it increases your risk of getting heart disease and stroke. Weight loss tip based on the above is to read your food labels and stay clear of trans fat. 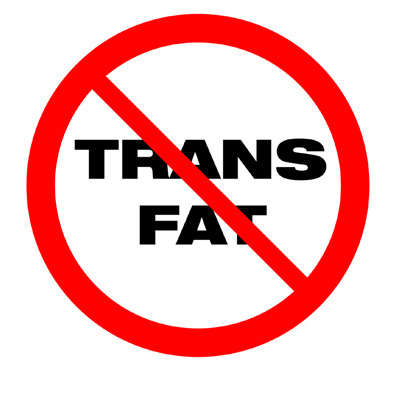 You do not need trans fat in your diet! Instead, pick foods that are high in good fats.